Finally, in November 1999, the U.N. issued a formal invitation for world participation. As the independent grassroots organizations around the world joined the effort, one notable outcome was a special ceremony initiated by Gerry Eitner between Israeli and Palestinian families, at a refugee camp in Nablus. Later that year, the United States Congress followed the U.N. initiative and unanimously voted to establish the first day of every year as a special time of peace and sharing. 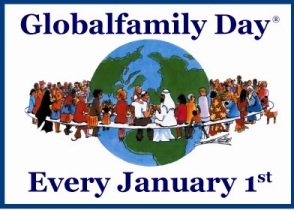 In 2001, the United Nations General Assembly established this Observance as a recurring annual event, also recommending that all Member states recognize the new holiday To date, more than 20 heads of state and many ambassadors have endorsed what has now become known as Global Family Day. Global Family Day has twice received the unanimous support of the U.S. Congres, the UN General Assembly (Resolutions, and more than 30 sitting heads of state and ambassadors representing more than two-thirds of the world’s population. Public Domain describes when the Copyright protection of various works expires and this work enters into the Public Domain. This legal transition usually happens annually on 1 January which has since been declared Public Domain Day. The observance of a “Public Domain Day” was initially informal; the earliest known mention was in 2004 by Wallace McLean (a Canadian public domain activist), with support for the idea echoed by Lawrence Lessig. As of 1 January 2010 a Public Domain Day website lists the authors whose works are entering the public domain. There are activities in countries around the world by various organizations all under the banner Public Domain Day. Public Domain concerns the expiry ofCopyright protection terms which are typically described as the life of the author plus a certain number of years after his or her death (or pma: post mortem auctoris). In many jurisdictions, this usually means that 70 years have passed since the day of author’s death. After that period, the works of those authors become fully available so that everyone – without any need for prior authorization – can access and use them for any purpose whatsoever. Legally, this happens on New Year’s Day (January 1). That means that in those countries, the works of authors who died, anywhere in the world, in 1936, passed into public domain on 1 January 2007. Since public domain rights vary based on jurisdiction, the passage of a work into the public domain is not worldwide. The most noticeable exception is the United States, where no additional published works will enter the public domain automatically until 2019. Australia’s copyright scheme is even more restrictive, with no Public Domain Day possible until 2026. In Europe various works will pass into the public domain, as will Canada and New Zealand. Many more works would be entering the public domain if not for the copyright extension that has occurred several times in the past several decades. Public Domain Day in 2010 celebrated the entry to the public domain in many countries of the works of authors such as Sigmund Freud, William Butler Yeats, Ford Madox Ford and Arthur Rackham. In 2011 it celebrated the public domain status of Isaac Babel, Walter Benjamin, John Buchan, Mikhail Bulgakov, F. Scott Fitzgerald, Emma Goldman, Paul Klee, Selma Lagerlof, Leon Trotsky, Vito Volterra, Nathanael West, and others. English novelist E. M. Forster OM, CH was Born 1st January 1879. He was also a short story writer, essayist and librettist. He is known best for his ironic and well-plotted novels examining class difference and hypocrisy in early 20th-century British society. Forster had a humanistic impulse toward understanding and sympathy. His 1908 novel, A Room with a View, is his most optimistic work, while A Passage to India (1924) brought him his greatest success.Howards End tells a story of social and familial relations in turn-of-the-century England. Howards End is generally considered to be Forster’s masterpiece. In 1998, the Modern Library ranked Howards End 38th on its list of the 100 best English-language novels of the 20th century. A Room with a View is about a young woman in the repressed culture of Edwardian era England. 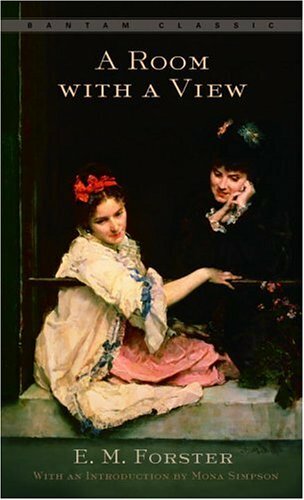 Set in Italy and England, the story is both a romance and a critique of English society at the beginning of the 20th century. Merchant-Ivory produced an award-winning film adaptation in 1985. In 1998, the Modern Library ranked A Room with a View 79th on its list of the 100 best English-language novels of the 20th century.The first part of the novel is set in Florence, Italy, It features a young woman named Lucy Honeychurch who is touring Italy with her overbearing older cousin and chaperone, Charlotte Bartlett. At their hotel, “The Pension Bertolini.”they meet Mr. Emerson and his son, George Emerson, and also meet an Anglican clergyman named Mr. Beebe. The next day, Lucy embarks on a tour of Florence with another guest, Miss Eleanor Lavish, a novelist who shows Lucy the back streets of Florence and subsequently loses her in Santa Croce, where Lucy meets the Emersons again and while in Santa Croce Lucy sees the seedy underbelly of Florence and faints but George Emerson catches her, As a result Lucy takes a bit of a shine to George. Lucy decides to avoid George, partly because she is confused by her feelings and partly to keep her cousin happy. Later at, a party made up of Beebe, Eager, the Emersons, Miss Lavish, Miss Bartlett and Lucy Honeychurch make their way to Fiesole In the fields, Lucy asks her driver where Mr. Beebe is. Misunderstanding, he leads her to a field where George stands. George is overcome by Lucy’s beauty among a field of violets and kisses her, but they are interrupted by Lucy’s outraged cousin. The two women leave for Rome the next day before Lucy is able to say goodbye to George. The second part starts off in Rome, where Lucy spends time with Cecil Vyse, who proposes to Lucy but is rejected. When Lucy returns to Surrey, England to her family home, Windy Corner. Cecil proposes again , and she accepts. Despite Cecil being a sophisticated and “superior” Londoner who is desirable in terms of rank and class; he is slightly comical figure. The vicar, Mr. Beebe, announces that new tenants have leased a local cottage; the new arrivals turn out to be the Emersons. Lucy’s brother, Freddy, meets George and invites him to go skinny dipping in a nearby pond with himself and Mr Beebe. They are interrupted by Lucy, her mother, and Cecil. Freddy later invites George to play tennis at Windy Corner. Although Lucy is initially mortified, she resolves to be gracious. George catches Lucy alone in the garden and kisses her again. Lucy subsequently breaks off her engagement to Cecil and decides to flee and encounters Mr. Emerson senior who finds out Lucy has been in love with his son George all along. Howard’s End concerns three families in England at the beginning of the 20th century: the Wilcoxes, rich capitalists with a fortune made in the Colonies; the half-German Schlegel siblings (Margaret, Tibby, and Helen), who have much in common with the real-life Bloomsbury Group; and the Basts, a struggling couple in the lower-middle class. The Schlegel sisters try to help the poor Basts and try to make the Wilcoxes less prejudiced. The Schlegels frequently encounter the Wilcoxes. The youngest, Helen, is attracted to the younger Wilcox brother, Paul. The eldest, Margaret, becomes friends with Paul’s mother, Ruth Wilcox. Ruth’s most prized personal possession is her family house at Howards End. She wishes that Margaret could live there, as her own husband and children do not value the house and its rich history, So Ruth, who is terminally ill, bequeaths the cottage to Margaret causing great consternation among the Wilcoxes. So Mrs Wilcox’s widowed husband, Henry, and his children decide not to tell Margaret about her inheritance.Not knowing about the inheritance, free-spirited Margaret becomes friends with Henry Wilcox and eventually marries him. Aziz Takes Mrs. Moore and Adela to see the Marabar Caves, a distant cave complex. In the first cave, however, Mrs. Moore is overcome with claustrophobia. Afterwards Fielding, Mrs. Moore, and Aziz return to Chandrapore on the train. When the train arrives At the train station, Dr. Aziz is arrested and charged with sexually assaulting Adela in a cave. She reports the alleged incident to the British authorities.The run-up to Aziz’s trial for attempted sexual assault releases the racial tensions between the British and the Indians. The only actual evidence the British have is the field glasses in the possession of Dr. Aziz. Despite the British colonists assertion that Aziz is guilty Fielding believes Aziz is innocent as do the Indians, who consider the assault allegation a fraud aimed at ruining their community’s reputation. Mrs. Moore also suspects Aziz is innocent. Ronny, alarmed by his mother’s assertion that Aziz is innocent, arranges for her to return by ship to England however she dies during the voyage. 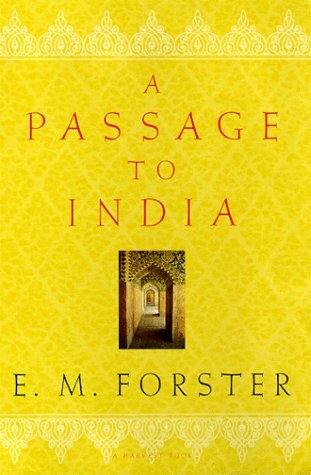 E.M.Forster’s novels including Howard’s End, Passage to India and a Room with a View, continue to remain popular and have also been adapted for Stage, Screen and Television numerous times. The Big Four Railway Companies were created in the United Kingdom On 1 January 1923, after almost all the railway companies including the Great Western Railway, the London and North Eastern Railway, the London, Midland and Scottish Railway and the Southern Railway companies were grouped into Four larger companies. A number of other lines, already operating as joint railways, remained separate from the Big Four; these included the Somerset and Dorset Joint Railway and the Midland and Great Northern Joint Railway. The “Big Four” were joint-stock public companies and they continued to run the railway system until 31 December 1947. The LNER Class A4 streamlined express trains of the 1930s offered a high-speed alternative to road transport.